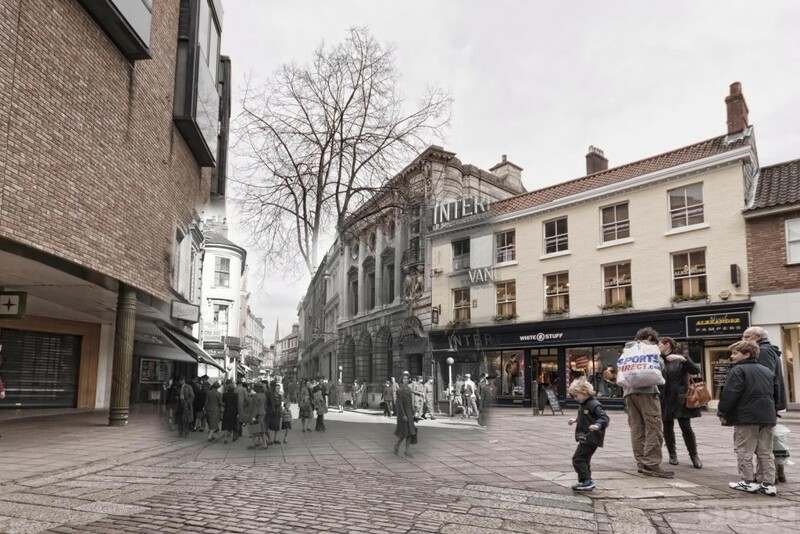 In Norwich in 1943 White stuff was an International, GAP was a Barclays bank, Buntings is Habitat, or was and Bullen’s remains unchanged. The originals of these photos were taken by Lew Funk: his Son John is digitising his fabulous and fascinating collection which catalogues his activities in USAAF 34th Bomb Group, stationed at Mendlesham in Suffolk from 1943 to 1945. 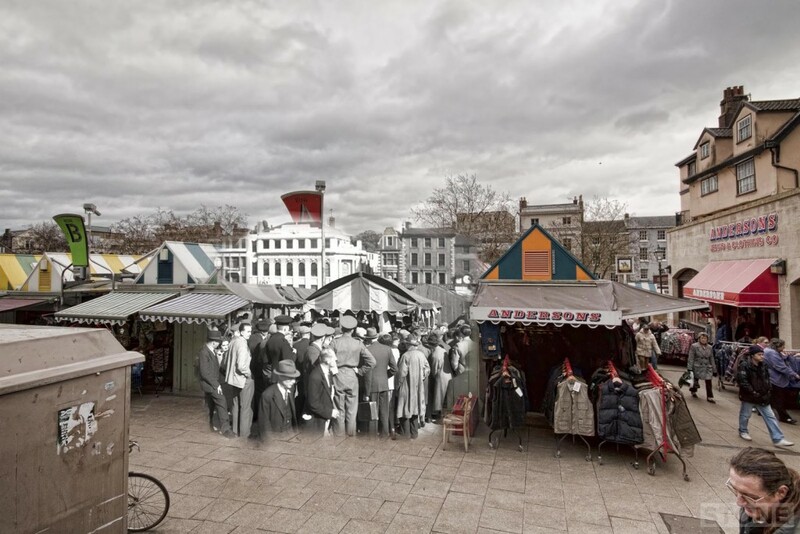 Lew obviously travelled a bit, as this was taken one sunny day at the top of Norwich Market in 1943, It was taken again, by me, the son of an RAF boy, in 2012, I pointed my Camera at leather stall Andy as he moved his books and belts about in the wind and drear, and this happened. I like the fact that these show life going on, rather than ending. Much better.